A recent question raised the issue of how well Microsoft has done against their vaunted 99.9% availability goal for Office 365. It’s a good question to ask because clearly all cloud services need to keep on proving that they can truly deliver a highly reliable and robust service if they are to have any chance of convincing on-premises customers to move platform. As it happens, Microsoft began to publish quarterly SLA results in 2013 as part of the information available through the Office 365 Trust Center, so I headed over there to have a look-see only to discover that the data was stale. I knew that various bits of Office 365 had experienced outages during 2014, such as the June 24 Azure Active Directory failure that caused a seven-hour outage for a subset of North American tenants, but a couple of well-publicized outages didn’t seem to be a reason for Microsoft to stop publishing SLA results. A call to Microsoft established that they had redone the Office 365 Trust Center and I was looking at an obsolete page, which is a nice way of saying that Microsoft published the data but on a different page. I guess it’s the nature of web site maintenance that it is easy to leave stagnant artefacts in place. Companies don’t like this because the bad data reflects poorly on them, but it’s easy to see how this might happen given the complex nature of large web sites. The results for Q4 2014 are still being tabulated and should be available around February 1, 2015. The drop in the Q2 2014 performance shows how an outage impacts a quarterly result. 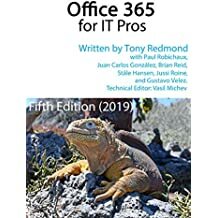 However, Office 365 is a global infrastructure and while the June 24 outage lasted seven hours, it was restricted to part of a single region, so the impact is less than you might imagine because these results are calculated on a worldwide basis. Even with the caveat that all cloud SLAs need to be treated with caution because they exclude problems caused by poor Internet connectivity or any site-specific issues, the numbers reported by Microsoft are pretty impressive and prove that Office 365 has matured into a very capable platform. Google guarantees the same SLA for Google Apps and makes a dashboard available for all to see the current status of their apps. However, I can’t find out whether Google makes quarterly SLA results available in the same way as Microsoft does so that an easy comparison is possible between the two platforms. I covered the lack of visibility for quarterly SLA data last May and Google does not appear to have done much to improve the situation since. This entry was posted in Cloud, Email, Office 365 and tagged Cloud, Google, Office 365, SLA. Bookmark the permalink. Now if only Microsoft could actually get their web developers to talk to each other…maybe they could actually have the “dead” pages refer to the new pages (or maybe keep those pesky link built into installed apps working)! LOL.